Otago is a cafe and caterer that seems to be in the middle of nowhere out in Cote-des-Neiges. It's like a secret hidden away only known to those in the area. I went there for lunch and it's a small place. The menu supposedly changes everyday and you can see the cooks behind the counter get to work right in front of you if you sit at the counter. They have an interesting menu, serving sandwiches, hamburgers, butter chicken and Pad Thai among other things. Like I said...Interesting. I went for the Pad Thai which I enjoyed (I don't usually like Pad Thai that much), but others thought it was just ok. 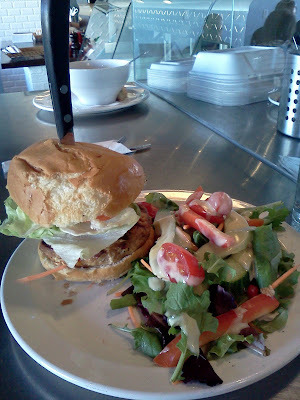 The turkey hamburger did look good though. I also had the flourless chocolate cake which tasted like a normal but light cake...Apparently you do not need flour to make a cake. In any case, I'd go back to Otago for another try. Is there something that I should try next time on their menu? Let us know in the comments! Delicious food along with good presentation is a winning combination. There's a saying that "You eat first with your eyes". 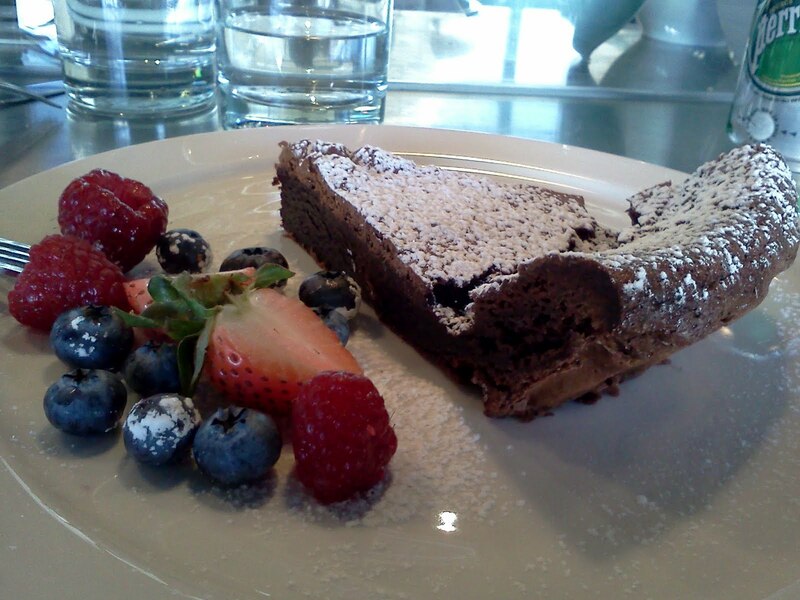 Most culinary school focuses on the plating aside from cooking. When I read about food preparation, Long island catering halls always come to my mind cause when I attend an event that is catered by them every food has a sophisticated look to it. Oh my! I want to try out the turkey burger and the chocolate cake they look so enticing. I think this will be a perfect match to my newly-discovered hibiscus drink, in which I've been addicted with for months now. I suggest they produce their own hibiscus-inspired recipes too. I am loving your fusion cuisine. 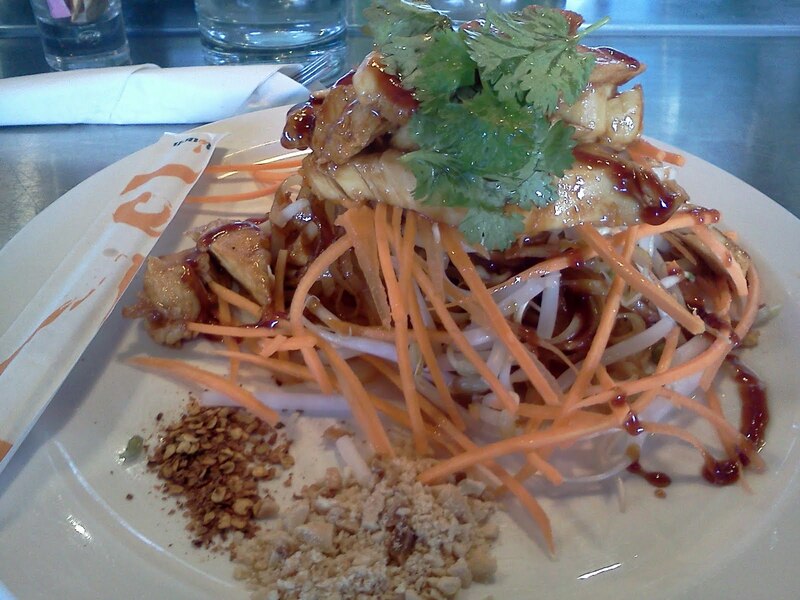 The Pad Thai is presented in a non-traditional way. I would like to visit your establishment one day. These are mouthwatering and delicious looking food. I wonder how much is their catering service fee? I will definitely give them a call, as my mom's birthday is coming up and we're planning on a special surprise party for her. Been here once and all that I can say about the food is that its great. You will be entertained while waiting for your food to arrive 'cause you can actually see the preparation by their chefs. That's one humungous turkey burger! The sumptuous looking pad Thai makes my mouth water but I don't care for chocolate cake. That's intriguing. A menu that changes everyday, I guess that they are confident about their menu. They are assured that even with changing menus, they can attract customers.